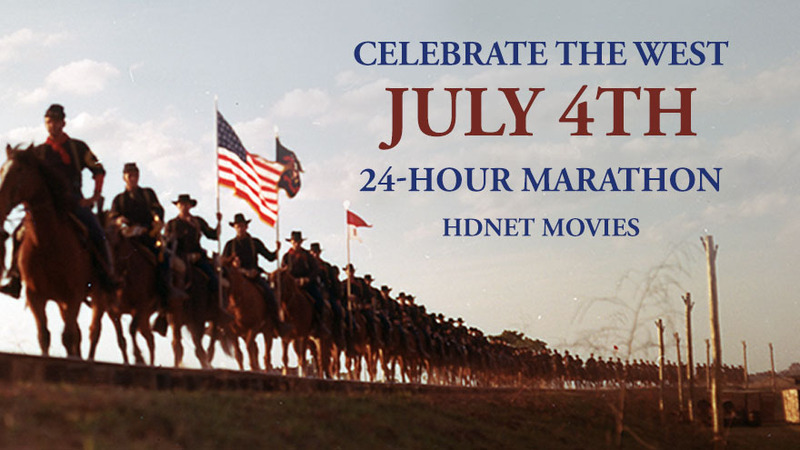 Los Angeles – June 24, 2016 – Stay cool this summer with HDNET MOVIES, as the network presents a fully-loaded July lineup featuring crime comedies, Old West favorites, sci-fi thrillers, and action epics. The month begins with an out of this world X-FILES double feature, in honor of UFO Day on Saturday, July 2, as Agents Mulder (David Duchovny) and Scully (Gillian Anderson) race against time to stop a deadly extraterrestrial virus in THE X-FILES: FIGHT THE FUTURE at 8pE. Then, a psychic priest helps the duo solve a case of disturbing disappearances in the network premiere of THE X-FILES: I WANT TO BELIEVE at 10:05pE. 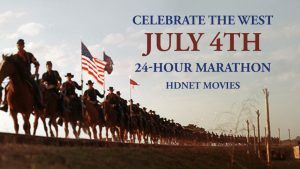 HDNET MOVIES gathers a posse of All-American Western favorites in a 24-hour marathon to “Celebrate The West,” on Monday, July 4. The day starts at 6aE with Paul Newman as an outlaw with a unique brand of justice in THE LIFE AND TIMES OF JUDGE ROY BEAN. Spencer Tracy uncovers a small town’s violent past in BAD DAY AT BLACK ROCK at 8:10aE; followed by Henry Fonda in A BIG HAND FOR THE LITTLE LADY, at 9:40aE; Paul Newman in HOMBRE, at 11:20aE; and Jason Robards in Sam Peckinpah’s THE BALLAD OF CABLE HOGUE, at 1:15pE. Then, Union officers John Wayne and William Holden go behind enemy lines in THE HORSE SOLDIERS, at 3:25pE. And Glenn Ford builds an Old West newspaper empire in CIMARRON, at 5:30pE. All of the titles repeat in the evening to complete the 24-hour marathon. Gear up for an extra-strength “Action Injection,” as HDNET MOVIES puts the spotlight on five star-studded thrillers, on Saturday, July 23, at 6:10pE as John Travolta and Christian Slater star as Air Force pilots on a top-secret nuclear mission in BROKEN ARROW. Next, Bruce Willis must protect a young genius from assassins in MERCURY RISING, with Alec Baldwin, at 8pE; followed by Colin Farrell as a publicist held hostage by a mysterious gunman in PHONE BOOTH, with Kiefer Sutherland, at 10pE. Then Kevin Spacey goes toe-to-toe with Samuel L. Jackson in THE NEGOTIATOR at 11:25pE and Natalie Portman stars as an orphan who learns the ways of hit man Jean Reno in THE PROFESSIONAL, at 1:50aE. Legendary sleuth Inspector Clouseau is on the case in six classic crime comedies, as part of “Think Pink: The Pink Panther Marathon,” on Wednesday, July 27. The night opens with funnyman Peter Sellers in the role he made famous, starring as the infamous Inspector in A SHOT IN THE DARK, with Elke Sommer, at 6:15pE; followed by THE RETURN OF THE PINK PANTHER, with Christopher Plummer, at 8pE; THE PINK PANTHER STRIKES AGAIN, at 10pE; and REVENGE OF THE PINK PANTHER, at 11:50pE. Then, Clouseau goes missing and it’s up to second-rate detective David Niven to find him in CURSE OF THE PINK PANTHER, with Robert Wagner and Roger Moore, at 1:35aE. The night closes out with Roberto Benigni as Clouseau’s son, on a search for a missing princess in SON OF THE PINK PANTHER, at 3:30aE.